A few months ago, our founder, Tracy Lynn, seized the opportunity to travel to two of the world’s leading design capitals; London & Paris. With the hopes of discovering new sources of design inspiration and vendors to use on future projects, Tracy was keen to check out all that each city had to offer. The voyage began in Londinium, the name originally given to London by its Roman forefathers in 32 AD. Since that time, the city has truly established itself as global magnet for arts, culture and people. 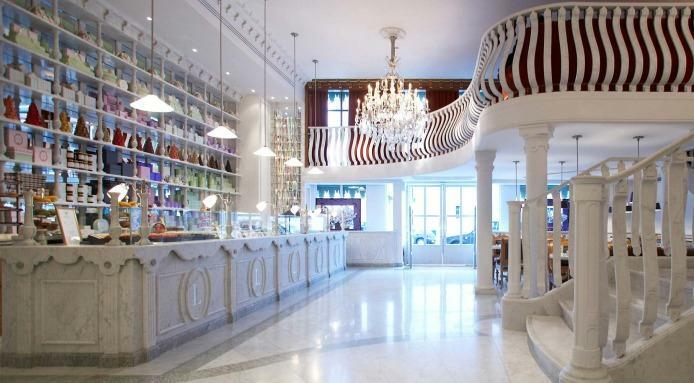 With ideas pouring in from all around the world, this international city has cultivated a flourishing design scene with retail and dining experiences to match. Tracy was absolutely blown away by the uniqueness, beauty and thoughtful creativity she encountered throughout her trip. 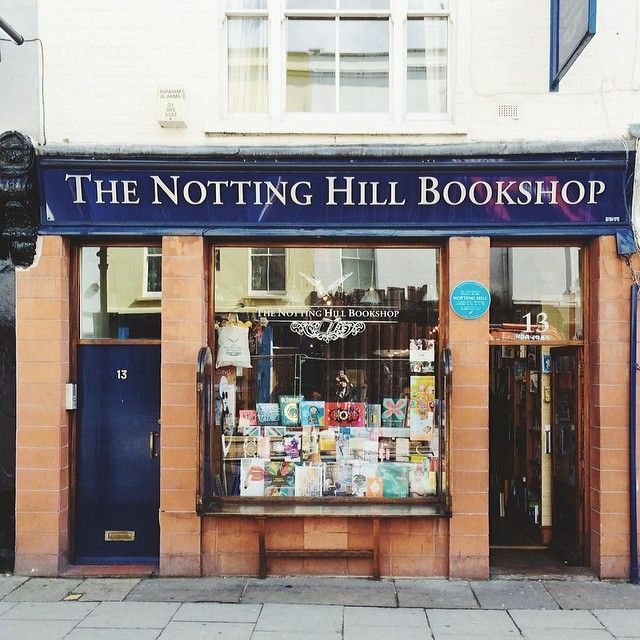 London’s distinct architecture, with its combination of old world beautiful and contemporary lines, left a lasting impression. With each tree lined square and row of Regency style houses, there is never a shortage of photographic delights. 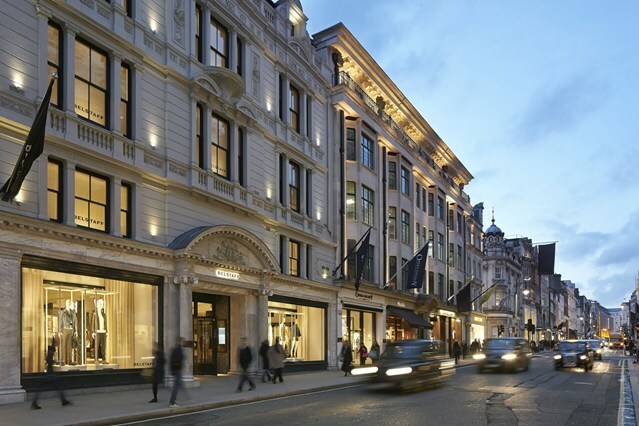 To accompany the striking exteriors, London’s interiors we’re beyond expectation. 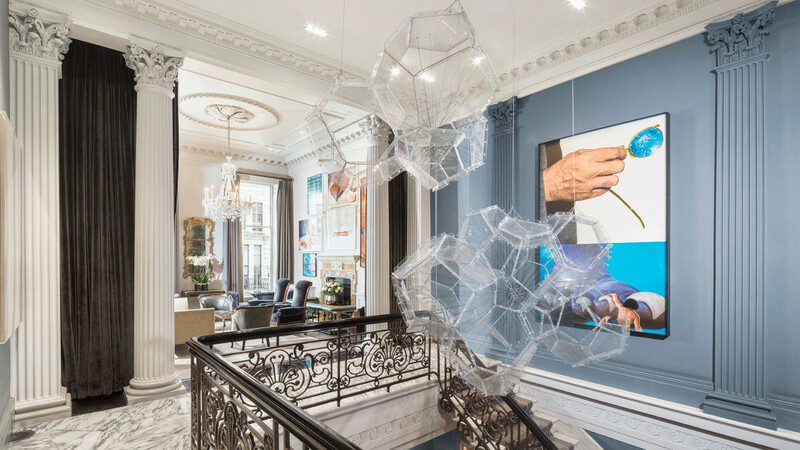 Tracy was privileged to be a guest of The Arts Club in Mayfair. The, members-only social club, founded in 1836, has an illustrious history as a meeting place for individuals interested in the arts. A theme very much in line with Tracy’s own pursuits. From the below ground club to the first-floor landing, every area of club was impeccably designed with meticulous service to match. Another truly memorable experience was found at the restaurant Sketch. From the moment Tracy set foot, by way of a hopscotch path, into Sketch, she was taken back by the whimsical and playful aesthetic. 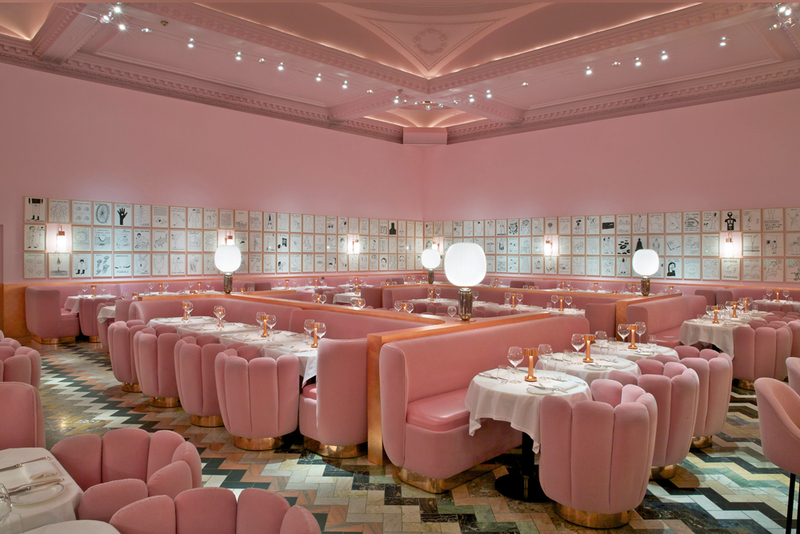 Petal pink walls lined with artistically drawn caricatures, gold details and more pink, create a stunning space reminiscent of a color saturated Wes Anderson film. 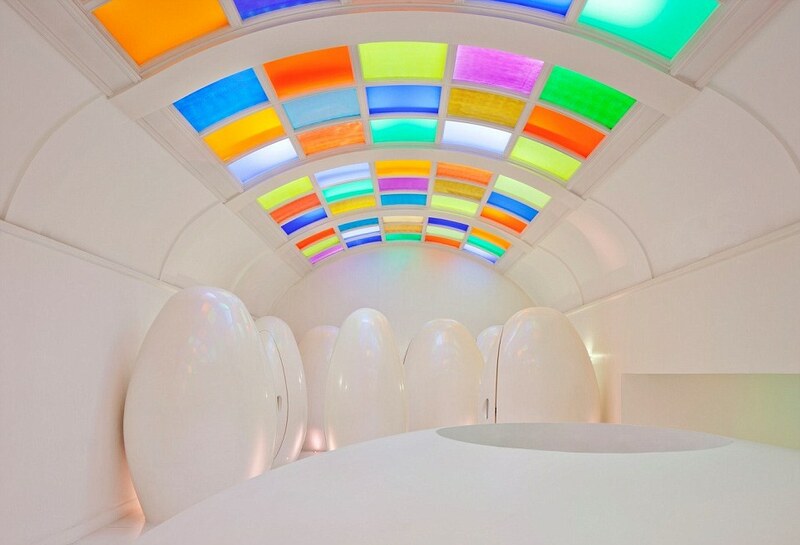 The restrooms, often designed as an afterthought in most restaurants, are equally striking. A Technicolor ceiling lights your way to another dimension where individual space-age pods take the place of traditional stalls. 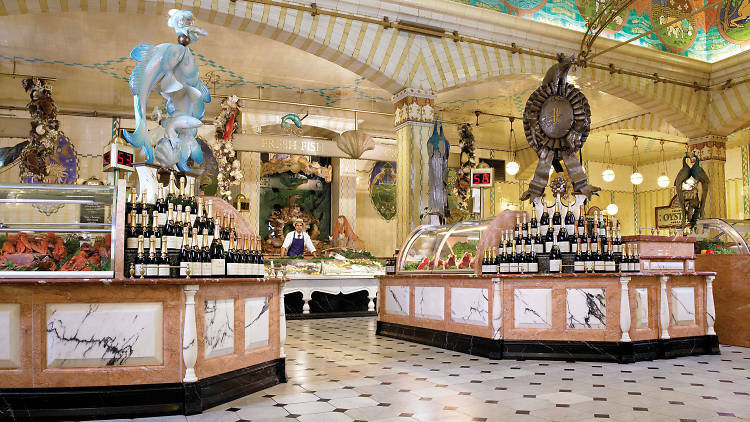 Tracy also found herself at the acclaimed shopping mecca, Harrods. 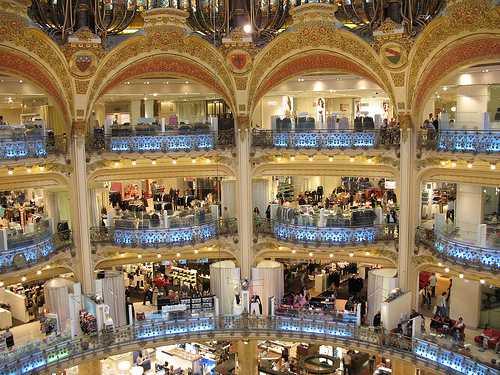 The enormous store has 330 departments devoted to a wide array of retail fare, and covers over 4.5 acres, yet still manages to employ “thoughtful design in every space”. 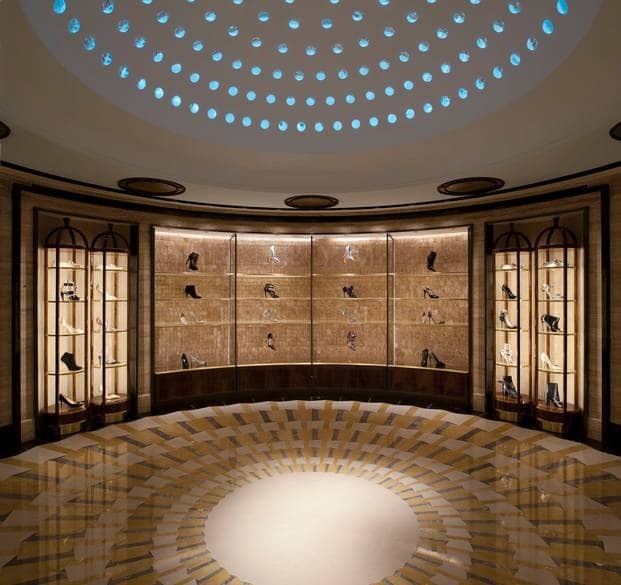 Harrods carefully crafts a distinctive visual experience in every space which is designed to fit unitedly within Harrods as a whole. This attentive approach to design reminded Tracy of TLS’s own efforts to create beautiful and unique environments. 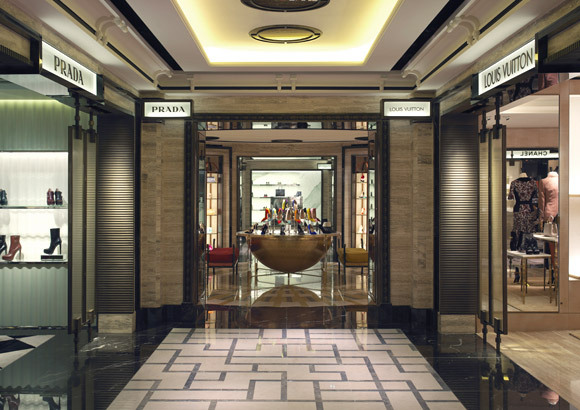 Whether it is one room or an entire building, TLS designs each space to work in sync with its surroundings and to construct an overall story, just as Harrods does. 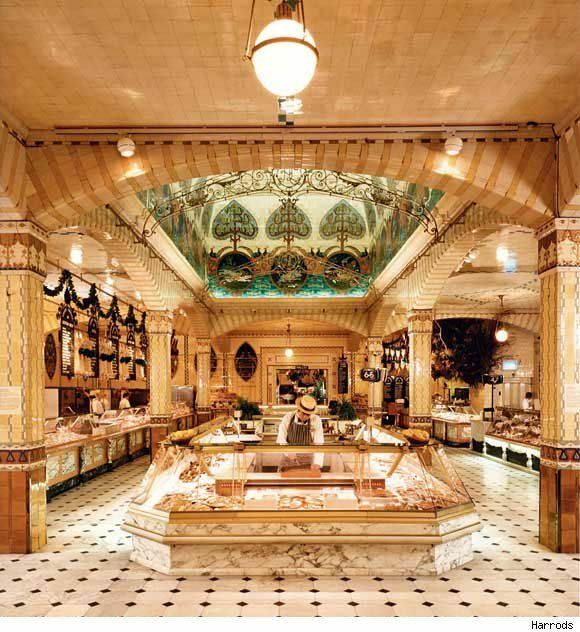 Some of the most memorable visual delights at Harrods were the expansive Food Halls and appropriately named “Shoe Heaven”. 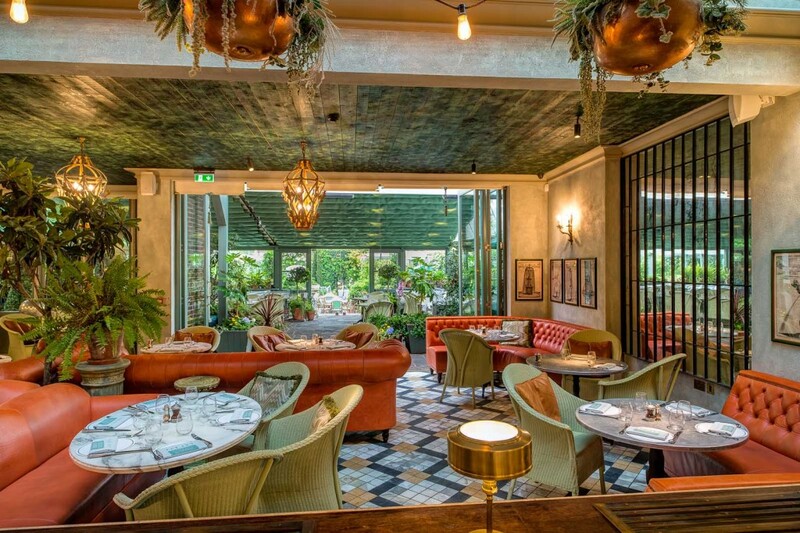 Other notable highlights around the city included The Ivy Chelsea Garden, The Notting Hill Bookshop and the Mayfair Design District. 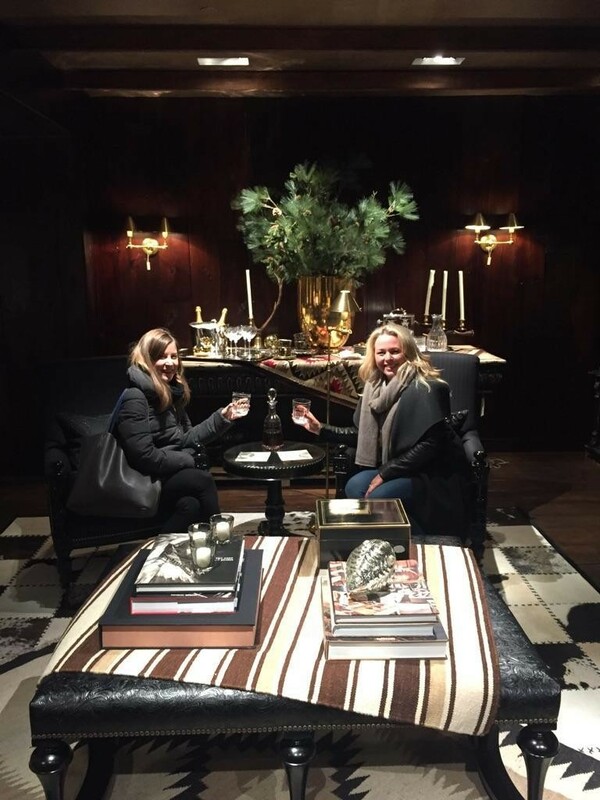 Tracy toasting with friend at RL Home in London. << In Reflection – Year of the bathroom!